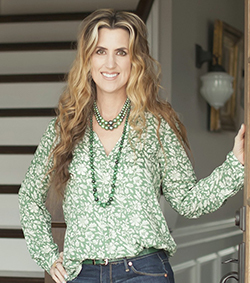 Benjamin Moore announced their 2015 Color of the Year, Guilford Green HC-116. It’s a perfectly nice color, and it certainly has it’s place – but not as Color of the Year. Let me tell you why not. The color that’s about to burst onto the scene. The most on-trend color of 2015. The hottest color to paint the walls in your house. Am I off-base here? Is it acceptable for the so-called “Color of the Year” to be a perfectly nice, but not a particularly on-trend, color? Let me explain. 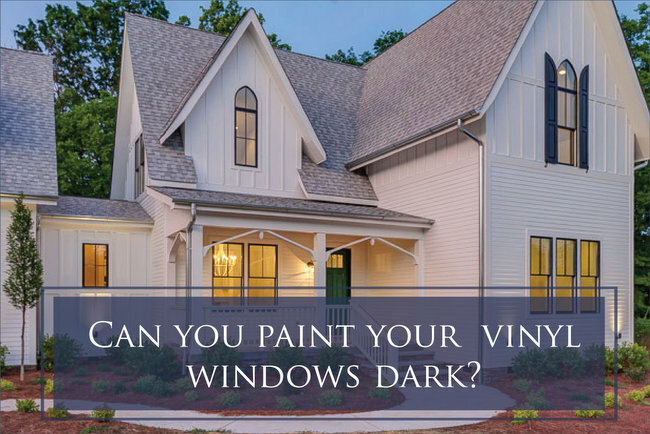 As a Paint Color Specialist who develops interior and exterior paint color palettes for homes every day, I tend to sort any given color family into types. So let’s talk greens, since that is the color family Guilford Green is in. There are greens that I consider muddy greens. They are brown-greens and they take on more of an olive or army tone. I use them on occasions when called for, but they are NOT trending greens. In fact, we are still worn out with muddy greens that were all over creation in the 1990s (and I’m not going to specific name any of the dated muddy greens that are running through my head right now, because I don’t want to hurt anyone’s feelings). Yes, olive is hot in the fashion world (I just bought a pair of olive skinny jeans), but I don’t see it making a strong showing in the land of decor any time soon. Because then about half of us could pull own old olive sofa out of the basement rec room and be right on trend, right? I don’t think so. Then there are greens that I consider muted greens (rather than muddy). They are gray-greens, which are definitely trending and will consider to trend over the next several years. They include colors like Paris Rain 1501, Heather Gray 2139-40, and Intrigue 1580. They look fabulous with many of the trending blues (light and dark), yellows, and pair with red without resulting in a Christmas color scheme. There are greens that skew towards yellow, like Guilford Green HC-116, Georgian Green HC-115, and Sweet Daphne 529. 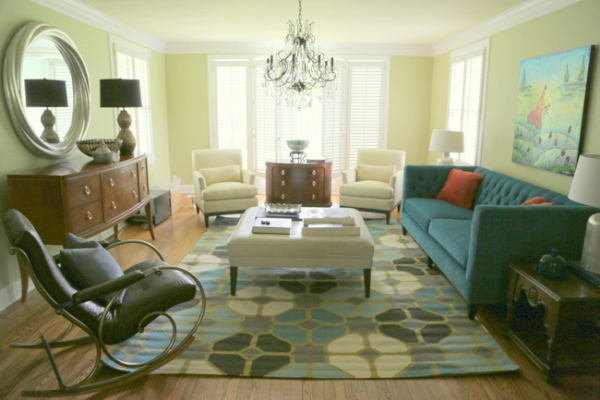 Georgian Green is a classic, and I used it a few months ago in a living room makeover. I actually have some Sweet Daphne on both my front and back porches as accent colors on chairs. Yellow-greens have been trending over the last 5-10 years and are nothing new. While you could certainly paint your living room Georgian Green to great effect, the paler Guilford Green will look a bit like a 5-year-old girl’s bedroom (which is honestly the only room where I’ve used it). Finally, there are greens that skew towards blue (rather than yellow). These include the lighter versions that might be described as a bit minty, like Antique Jade 465 or Prescott Green HC-140.. And also the darker versions that are a bit teal and jewel-y, including Mountain Laurel AC-20 and Waterbury Green HC-136. As I’ve been watching the trends, these lighter blue-greens are the kinds of green that are cutting edge: fresh and clean, and the perfect backdrop for practically any blues and the darker emerald and teals. They also play well with pinks, coral/oranges, and reds. So what exactly am I trying to say? In terms of color forecasting, I do not see a strong trend of yellow-greens and muddy greens rising on the horizon. I’m not saying you won’t see them or don’t see them, but I certainly wouldn’t name one of those type of greens as the 2015 Color of the Year. Instead, I’d look towards a green on the gray side and with a hit of blue. Something a bit jade-y and a teeny-tiny bit minty. Like Antique Jade 465 or Prescott Green HC-140. Maybe I’m splitting hairs. But that’s what I do. 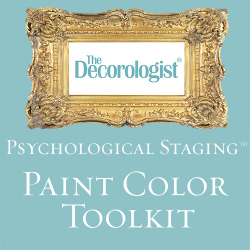 Splitting paint color hairs is my job – it’s my passion! 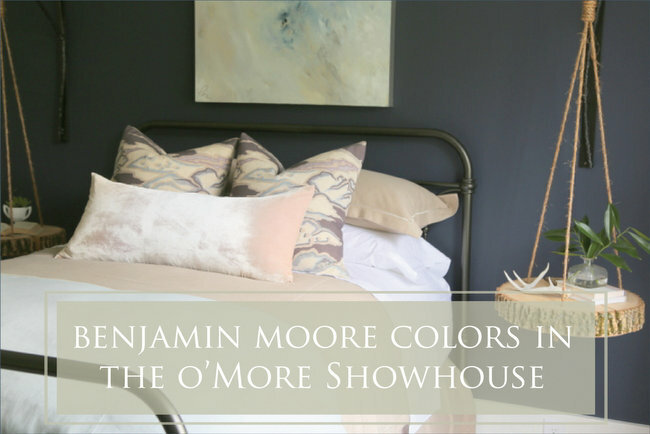 But, of course, Benjamin Moore isn’t asking for my opinion. Not yet, anyway. 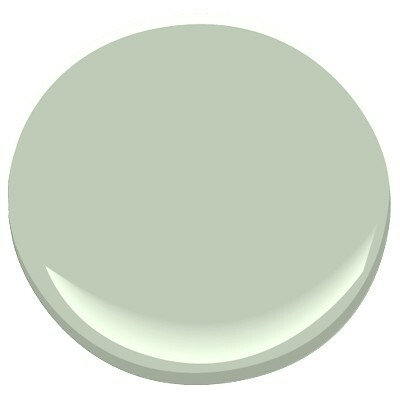 This entry was posted in Color Consultation and tagged antique jade, benjamin moore, brown green, color expert, georgian green, gray green, green paint colors, guilford green, heather-gray, intrigue, muddy green, on-trend paint colors, paint color specialist, paint colors, paris rain, prescott green. So agree! I am in a rental house in which the decorator chose a similar Ralph Lauren color 9 years ago!! Good news for my landlord–he doesn’t have to choose a new on-trend color yet! Yes – purples do look fantastic with greens, no doubt a great combo! It appears that the “read the article” button only works when you click on the first part of it (read), which bums me out, but I don’t know how to fix it. Try clicking on the left side of the button and let me know if that doesn’t work. I agree with you! I love green any shade of it. But I don’t find Guilford Green to exciting or special. Great post. Guilford Green was one of the colors I chose when we painted a couple of years ago. Sometimes I like it and sometimes not so much. Fortunately, it’s only in the upstairs hallway. Thanks for sharing some alternative color selections. I really appreciate your blog. And thank you for your comments, Sara! You are SO right on, Kristie! What were they thinking… or not thinking. What a “dud” for such a lofty position of power and excitement in the design world. I certainly hope designers don’t take this color seriously and ruin many otherwise beautiful homes in 2015. I agree with you Kristie! I love green. 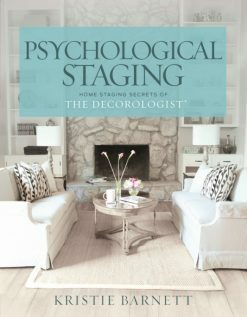 In fact I had a green dining room for 8 years and incorporate green all throughout my home, however, like you said, I don’t see it green as being the “color of the year”. I HATE, loathe….. that green color. It’s on my walls in my bedroom when we moved in here and I hate it!!! Getting ready to paint over it, and I can’t wait to get rid of it. Nope, definitely not color of the year in my book either. Ok, so do you hate ALL greens? Or just certain kinds of green??? I recently acquired a top grade leather couch in an emerald green color from Craigslist. My intention was to paint it a more subtle brown hue, but am getting used to it and am re-decorating around it. I have put up strong blue single fabric panels at each window edge and am making changes with the accessories etc. and painting some a royal blue. So, an emerald green couch may not be everyone’s cup of tea but it is working for me; I hope green will be the color of the year. Very good post, Kristie. Well thought out and explained. Ok, I did not write the part about “Your comment is awaiting moderation”. I thought this was a very good post that was thought out and explained. You are SO right. I think a blue color for sure and love your choice! Thanks for the affirmation – I wasn’t sure if I was going to be the only one thinking this could have been a better choice! Just thinking….when I go to Florida, i never seem to tire of the clean colors there. Maybe “clean” isn’t JUST a trend, but a basic desire appealing to our senses because we “like” to be clean. (Most people do). Therefore, a yellow-y green color, of course would become tiring much sooner that a clean green with or without blue, right? I certainly NEVER tire of our Carolina Blue sky!!! Am curious Kristie, what would YOU have picked!?!!! I too, am a little surprised they picked Guilford Green, it could always be worse! If you read the post, you will know my pick! Thank you for your comment – it’s interesting to hear how different areas of the world have differing tastes and feelings about color! I agree that Guilford Green would look best with lots of white to balance it. Ooh, can’t wait to hear what color you chose! Hi Kristie, May I ask your opinion on the Benjamin Moore color Gray Horse? Do you think it is muddy? Is this the type of gray green color trending now? 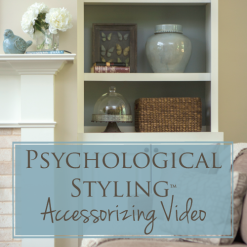 I do love all your color selections in this post. I have to agree with you on the Guilford Green. Don’t know what it is about it, but it looks upsetting. I LOVE Gray Horse! Definitely a medium gray-green. Muted, but not muddy (muddy to me is brown-ish). 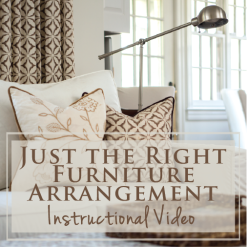 Beautiful, sophisticated color – especially in a light-filled room. Thanks so much Kristie. My master Bedroom is light filled. I was hoping it would work. I think it would look good with my black furniture. I will send you a photo when it’s finished. I’d love to see it, Linda – please send a photo! Kristie! How are you? Great I hope! I was checking your Sherwin Williams Coral Reef color of the year post and clicked the link to check the greens you were using. The Georgian Green living room is lovely and soothing. I am wondering about the art used over the sofa? I’d love to know more about it. What can you tell me about it? I’d love a better look at it. Is it an original or a print? Where can I see it better? 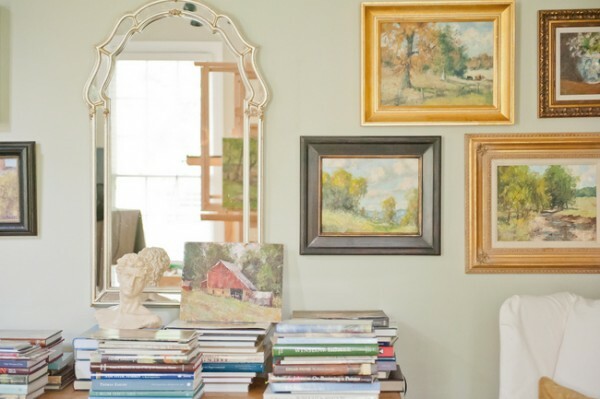 I love Wyethe Blue and Stratton Blue, for especially for period homes – great blues with enough green to keep them warm and up-to-date (vs. powder, “Colonial” blues). If those blues are too “clean” for you, a nice muted version might be Gray Wisp. 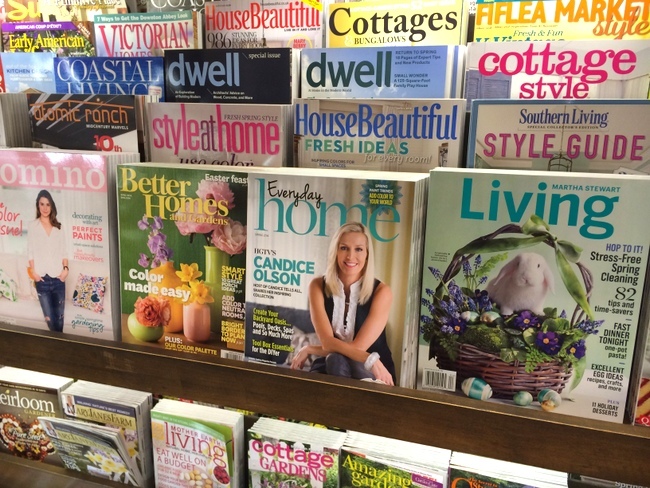 Good luck – your home sounds lovely! Again, if those colors seem too bright/clean, try something more grayed down like Gray Wisp. 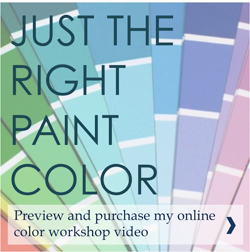 If you need further help, check out my services/fees for online color consultations in the menu bar. I will and thank you again. I have spent the whole morning reading your site and so informative. Thanks again. Thank you. I agree with your take on Guilford green. A few years ago I went with Prescott green in my family room and a good friend chose Guiford Green for her living room. At the time I wish I had chosen the same. I still like both colors as well as Palladian blue in my guest room – all from the same BM color strip. But while I found them on trend then I can’t imagine BM calling any of these colors on trend today. Redecorating an empty bedroom upstairs. Flooring consists of 5″ dark wood as I’m adding a space for my yoga practice. Purchased a sample of “Antique Jade” and slathered on walls in different areas to see how it looks in light/shadows. The Benjiman Moore rep recommended the Guilford Green (but used a very similar shade in my daughter’s bathroom years ago). 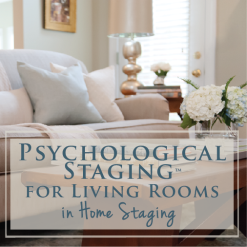 Just came across your article, and so glad I did! Antique Jade is a soothing shade. On my way to pick up more. Thank you for sharing! Please let me know how it turns out – send a photo if you can! Thanks for the tip on Paris Rain. Think I’m going with Gray Mirage, very similar but a hair lighter. Your whole take on greens–muted, not muddy; mint, not olive–seems so right that I wonder what Ben Moore can have been thinking. Thank you, Jon! I like to think I know a little something about color trends. I believe you sent my assistant an email about the wall color of the room with the art? Guess what, it’s Gray Mirage. But I think you may have guessed that! I love antique jade! Unfortunately, it’s coming off as just a tad too blue in my basement. Any suggestions for adjusting the color or another color that’s close to antique jade but won’t veer too blue? Absolutely! Prescott Green is a greener version that I love! Thanks! I’ll give it a try tomorrow. Fingers crossed. I really enjoyed reading your blog about paint color first. A couple of years ago, I painted my kitchen BM dillweed. I have been thinking about painting my dining room a blue gray, possibly wedgewood gray, harlequin or manor blue. 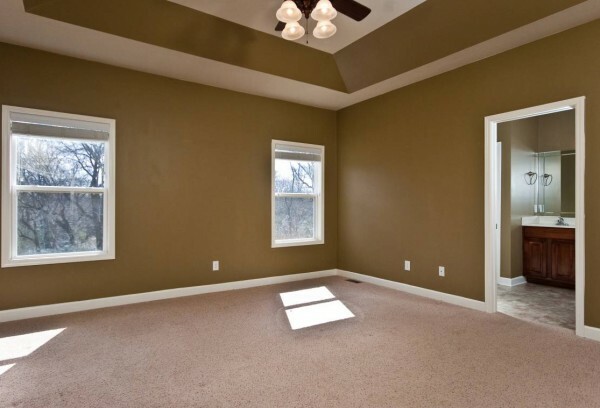 Both rooms open to the family room which is a mushroom color. Will I be making a mistake to go to blues in the dining room? 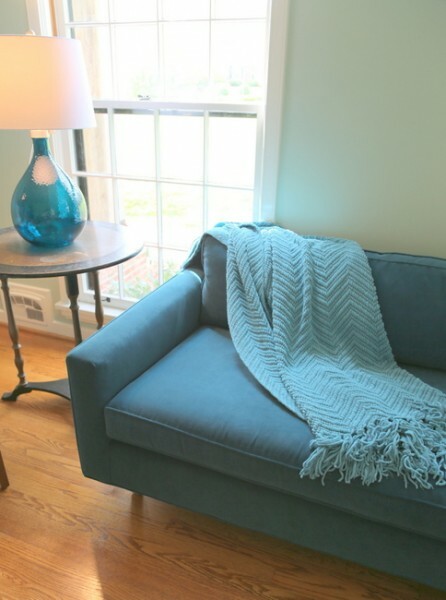 Am I really pushing it going with the same blue color in the sunroom which adjoins the family room? What do you think about silver sage? I’m trying to choose a color for my kitchen and living room. Small space, totally open concept. My cabinets are close to a pickle wood color. If your cabinets are pickled wood, they have a pink undertone. So I would avoid wall color with green in it, or it will enhance the pink undertone of the cabinets. Take a look at Edgecomb Gray – it will make your cabinets appear more neutral. I hope that helps and thanks for reading! Hi we are in Colorado and looking for a green color exterior with white trim. Jennifer, are your cabinets white or wood stained? They are wood stained. On the darker side. You can see them in the photo I attached. Kristie, I just found this thread. I wonder what color green you would recommend for an office with a big eastern exposure (7th floor). I was thinking of Georgian Green. Thanks for any ideas. Totally agree! I actually sampled that color and didn’t like it. I painted my fm room waterbury …but now I’m tired of it ..I feel it’s outdated …ant ideas on another color ?? I’m going crazy trying different Colors ….as you can see I just need to chose lol. I painted my dining room a similar Rslph Lauren color in 2006….it’s the room that everyone is photographed in at parties, and it does a number on people’s skin tones. I’ve been looking for cooler greens, but had trouble finding something in BM I liked….right now my favorite is F&B Teresa’s Green. I will check out your suggestions. Thanks! Great, insightful post. 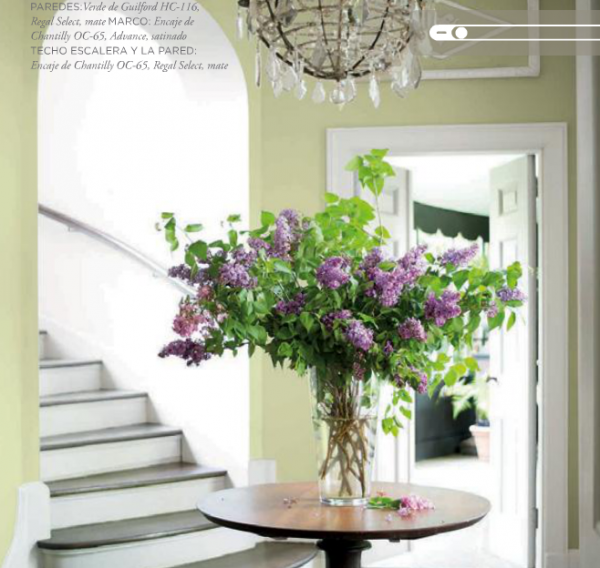 What would you say about Soft Fern and Grecian Green – would you consider those trendy gray-greens, or yellowish greens? Any ideas on what colors to use with vintage pewter oak Pergo? I’d like to use some cool greens and an accent color.